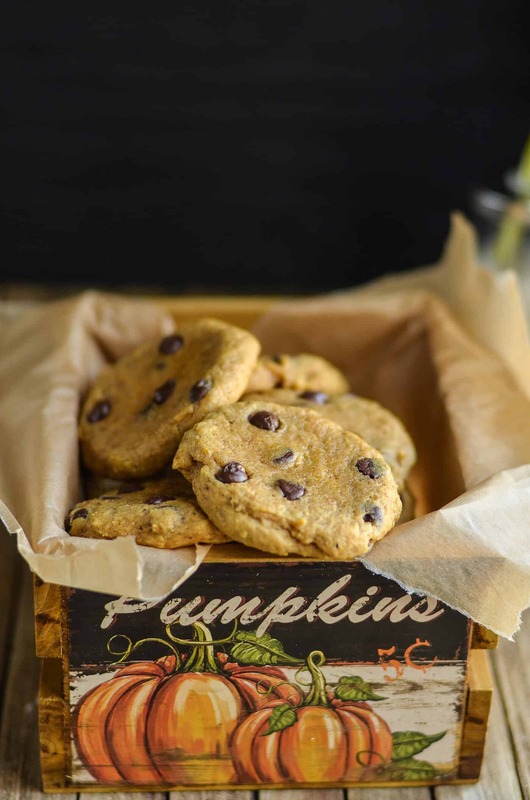 Indulge in your favorite fall flavor with this pumpkin chocolate chip cookie recipe! Soft, chewy, and delicious. 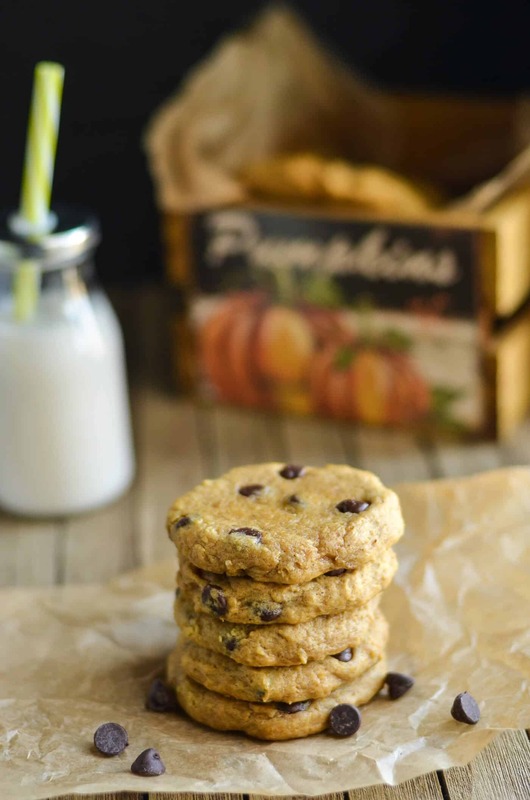 These pumpkin chocolate chip cookies are the perfect consistency! I get it. Pumpkin is everywhere – and you’re tired of it. But just humor me for a moment . 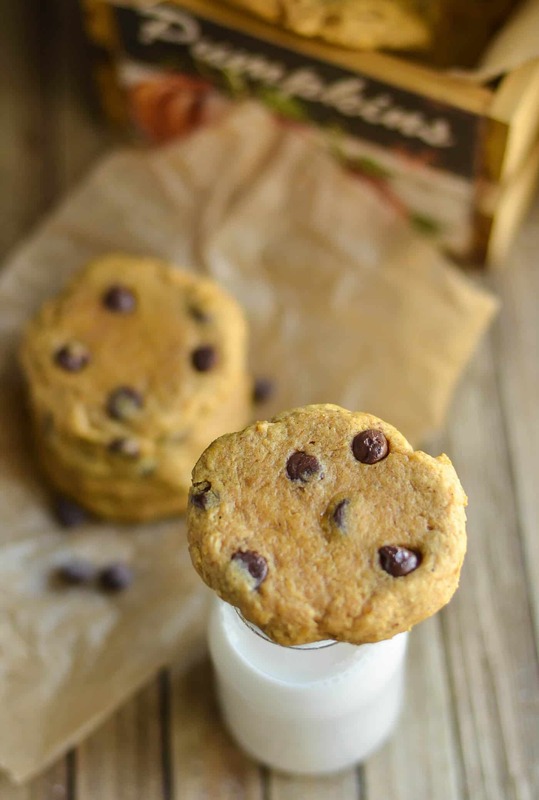 . . because this pumpkin chocolate chip cookie recipe is beyond anything you’ve ever had. 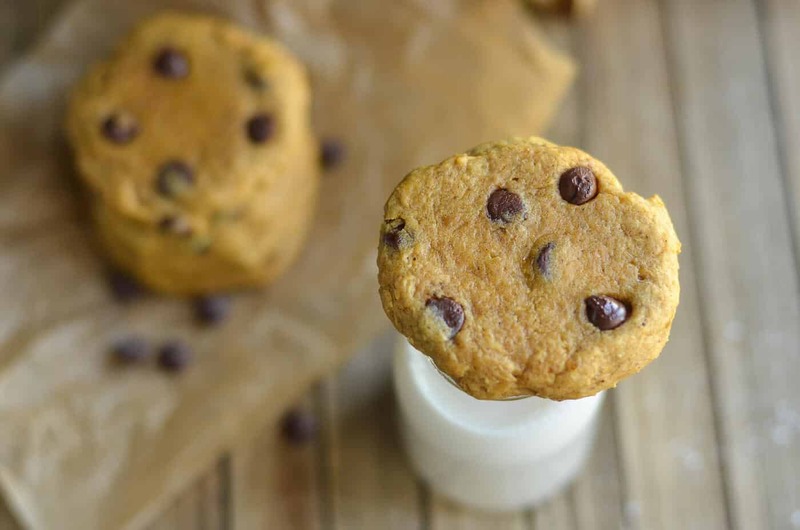 It’s WORTH deciding that you aren’t tired of pumpkin quite yet and making them. Because they are chocolate-y, moist, delicious, and just plain wonderful! 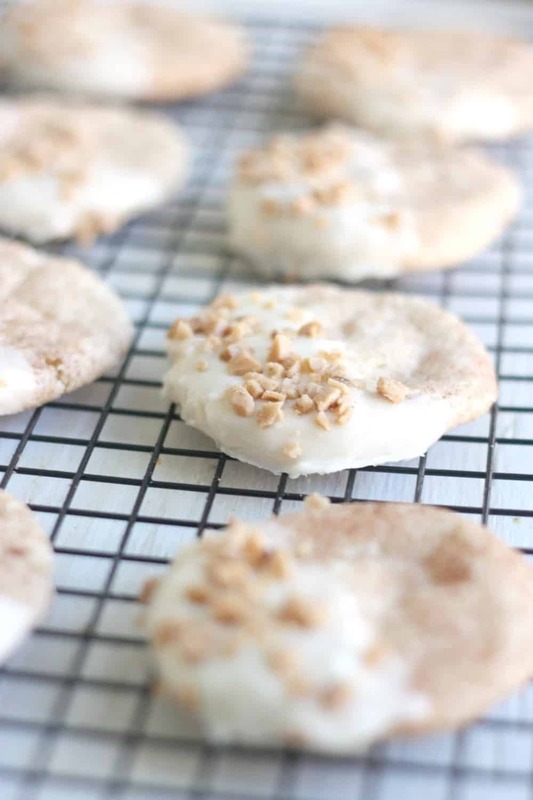 I like that you can make smaller cookies if you want to – or make them larger which is what I tend to do. Because when it comes to pumpkin and chocolate together, my personal rule is to “go big or go home.” I know, I don’t like that saying either, but it applies. Trust me! 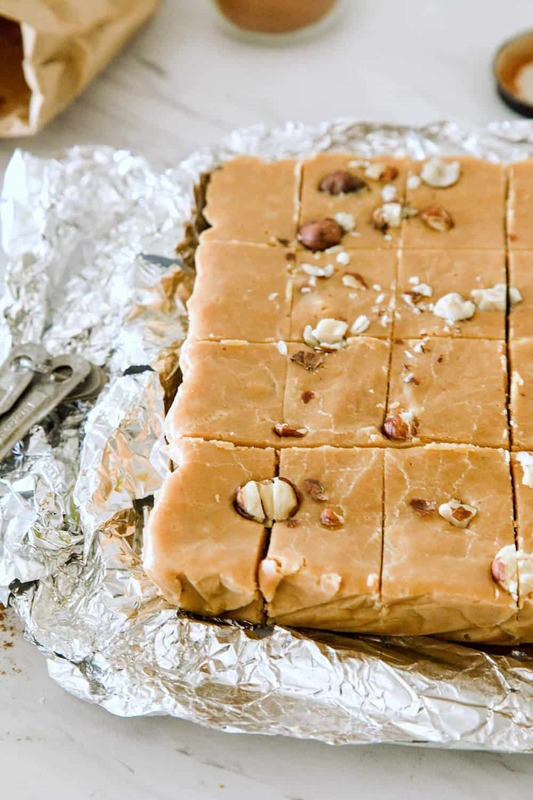 Preheat oven to 350º F. Line two cookie sheets with parchment paper and keep aside. In a bowl, mix together the dry ingredients – flour, salt, baking soda and baking powder. 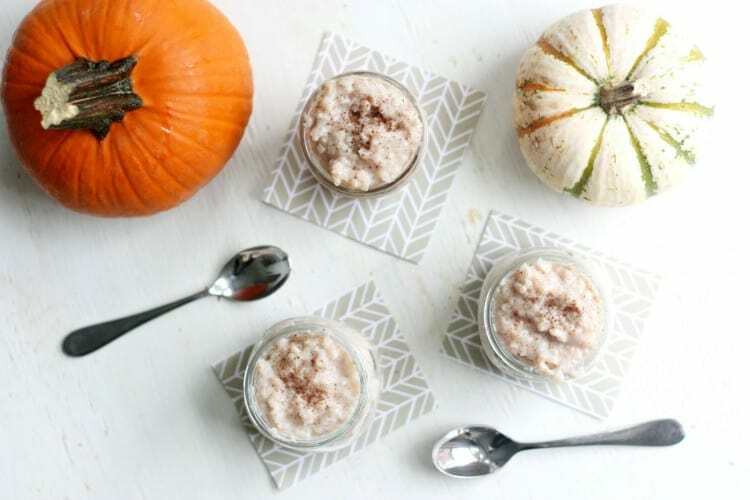 In another bowl whisk together the softened butter along with pumpkin puree, pumpkin pie spice, sugars and vanilla extract. Add the flour mix to the pumpkin puree mix and gently mix. Halfway through, throw in the 1/2 cup chocolate chips and fold it in. Mix gently until everything comes together. 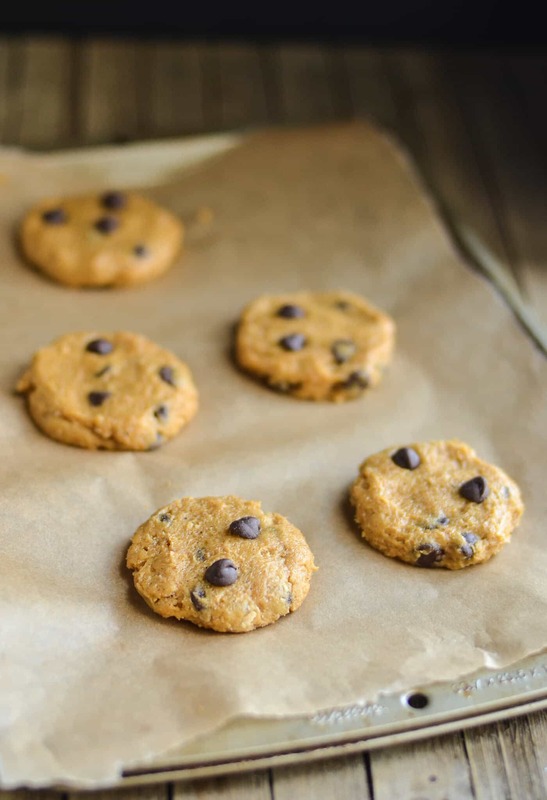 Using a small scoop, scoop out cookie dough onto the prepped cookie sheets. 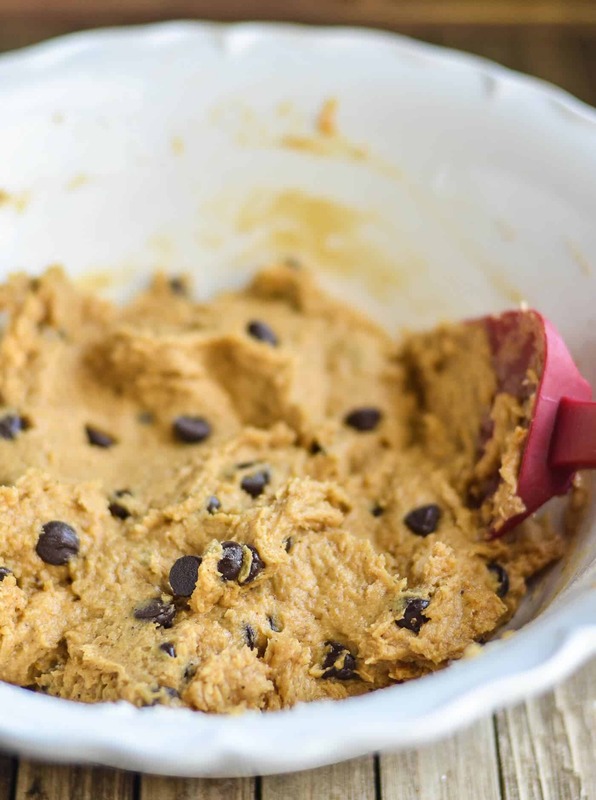 Press the dollops of cookie dough down to flatten and press down 2-3 chocolate chips into each flattened cookie dough. Bake for 8 to 10 minutes. 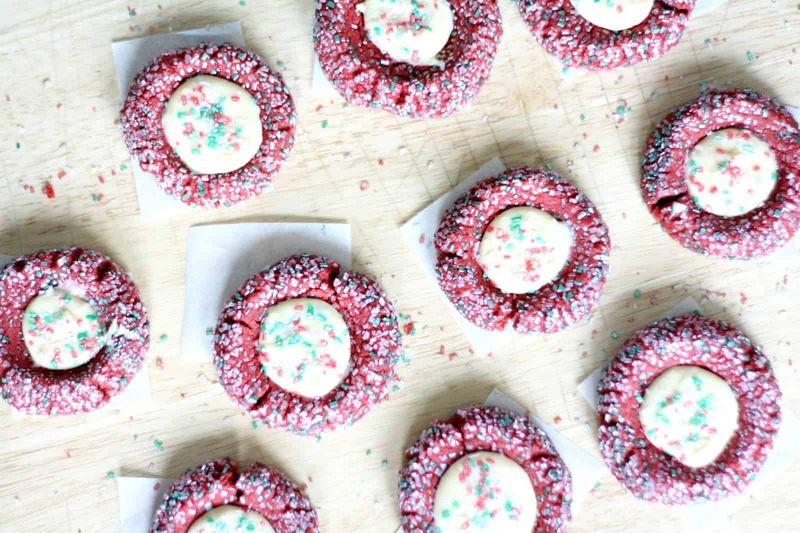 The cookies might look underdone, but they aren’t! Cool completely on a cooling rack before serving to storing for future use. These will stay fresh for up to 4 days in an airtight container. 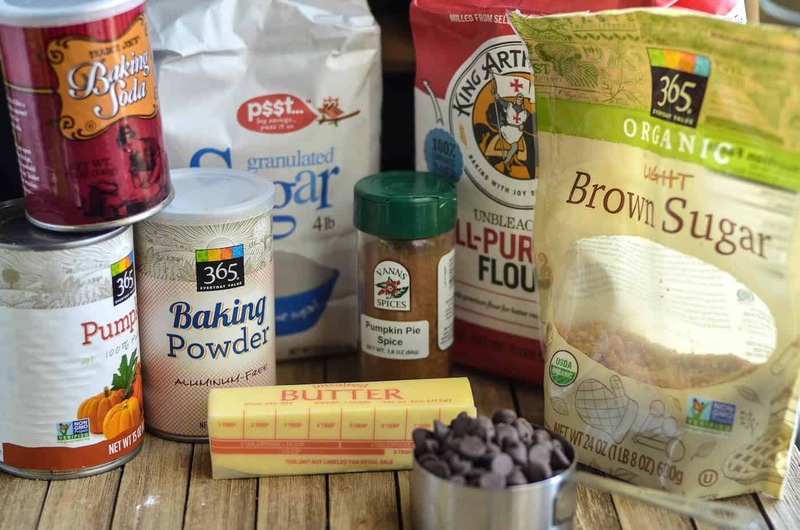 In a bowl, mix together the dry ingredients - flour, salt, baking soda and baking powder. 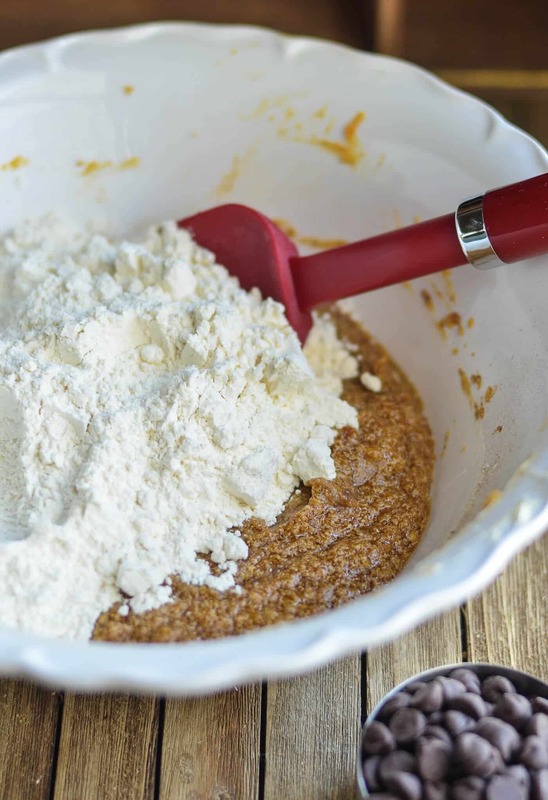 In another bowl whisk together the softened butter along with pumpkin puree, pumpkin pie spice, sugars and vanilla extract. 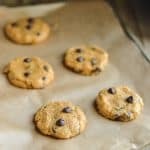 The cookies might look underdone, but they aren't! Cool completely on a cooling rack before serving to storing for future use.